By now you should have all seen the news regarding Angry Mob Games’s Alien vs. Predator: Evolution due out for your Android and iOS devices soon. Angry Mob Games are also the ones behind the Predators game that was released back in 2010. We recently spoke with them about their upcoming Aliens vs. Predator mobile title. AvPGalaxy – First off, I would like to thank you for doing this interview. To start us off, could you tell us about the origins of Alien vs. Predator: Evolution? How did you come to be working on the title and how long has the game been in development? Bogdan Iliesiu – Thanks for having us! Before AVP: Evolution, we worked with FOX Digital Entertainment on the iOS/Android game Predators. That game was really well received and people really loved its combat style. We thought the perfect way to improve it would be to make an Alien vs. Predator game. This time around, we didn’t have any technology constraints, as the iOS and Android devices are really powerful now, so we could really push the graphics, AI, level design and combat. We started working on AVP: Evolution in February 2012, so it looks like it took us exactly one year to complete it. AvPGalaxy – Can you give us a slightly more detailed description of the game’s story? Does it tie directly with any of the previous instalments in the franchise? Bogdan Iliesiu – The story stars the Super Predators, who are trying to annihilate the Jungle Hunter Predator clan once and for all. To do this, they capture an Alien Queen and manage to control its minions. The Super Predators utilize an ancient temple above the Alien Hive as a training ground, honing their skills and mastering the art of controlling their new Alien army. You play the campaign from two different perspectives: the Alien and the Predator. As an Alien, you must ultimately destroy the Super Predators and free your species from enslavement. As a Jungle Hunter Predator, you must eliminate the Alien Queen in order to prevent the Super Predators from annihilating your clan. The story brings all the iconic characters from the Alien and Predator movies, including the Colonial Marines. All these tie in with the visceral combat perfectly, and gave us the opportunity for some unique boss battles (vs. the Marine Powerloader, Dropship, APC, plus all the powerful Alien and Predator characters). 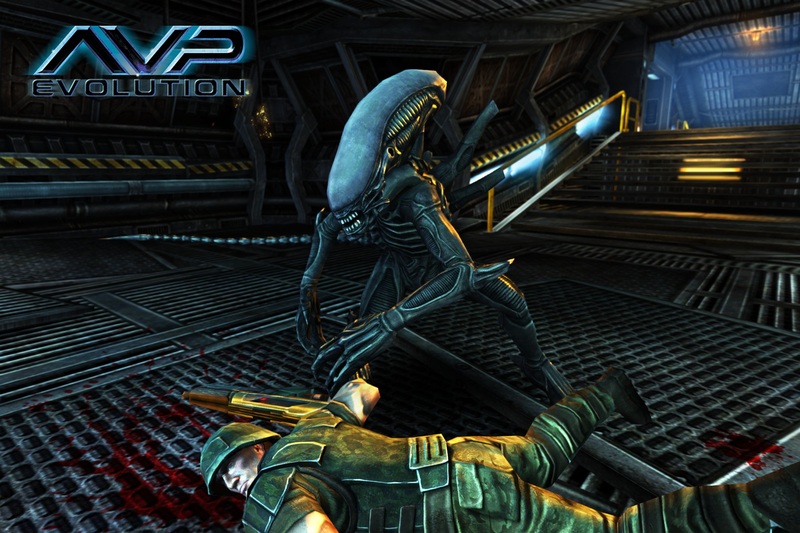 AvPGalaxy – Some may consider mobile platforms a less serious gaming platform. Has this resulted in more liberties that wouldn’t have happened if it were on a console? Bogdan Iliesiu – The gameplay design is a bit different than what you’d normally see in a console title. The campaign missions are structured to be playable in shorter bursts, plus you get optional side missions. These side missions are usually action heavy, and feature various randomly generated elements that make them really fun to play and replay. In a console title, you usually have a slow story progression, but here you get to the fun part really quick: you get to experience incredible character executions and perform complex fighting combos from the start. AvPGalaxy – Is there anything special about the mobile platform that has brought something unique, gameplay-wise, to a game set within the Aliens vs. Predator universe? Bogdan Iliesiu – When performing the finishing executions, you can swipe the screen in the direction you wish to rip your enemies apart. This helps you feel like you’re really involved, and also tests your skills. We combined the classic controls with the mobile devices’ multi-touch and swipe inputs to make the gameplay as engaging as possible. AvPGalaxy – Did you take any inspiration from the Aliens vs. Predator movies when creating the game, or rather the original movies? Bogdan Iliesiu – We actually took a bit of inspiration from all the movies: you can upgrade your Predator character’ gear to take on the appearance of different versions of the character. You can change your Predator character to look like the Classic Predator you see in the first Predator movie, all the way to the Wolf Predator in the AVP: Requiem movie and the Super Predators armors and abilities in the Predators movie. For the Alien, you can mix and match various body parts to create your own Alien type: from the Drone Alien in Aliens, to the Runner you see in Alien3, the Warrior in Alien Resurrection or the Praetorian in Aliens. We also created various environments and set pieces based on the marine compound you see in ‘Aliens’, and the rough exteriors you see in that movie. For the temple, we took some inspiration from the AVP movie too. Of course, there are other minor details you’d recognize, like the Predator ship from the Predator 2 movie. AvPGalaxy – Some game environment and assets strongly resemble the visual style and aesthetics of the previous Aliens vs. Predator videogame released in 2010 by Rebellion and Sega. Did you look at Rebellion’s work or any other previous Aliens and Predator games when creating your game? 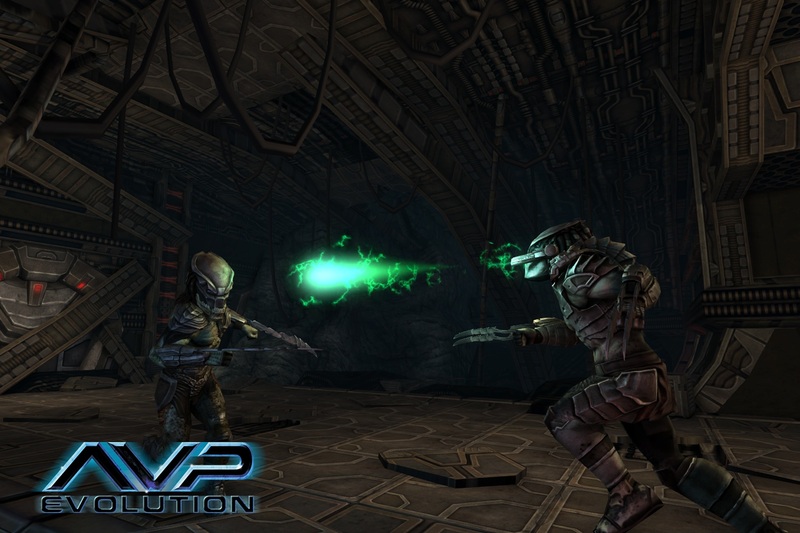 Bogdan Iliesiu – Of course we played the original AVP games, including the one released in 2010 by Rebellion/Sega. We tried to create some really detailed and accurate Alien and Predator character models, based on the movie references. So they naturally look similar to what you’ve probably seen before. This is true for some environments too. It’s not only the models that recreate that well-known Alien / Predator look, but also the lighting and atmosphere effects. The Aliens movie created a really distinct sci-fi look, on which many others were based. Because the iOS and Android devices are so powerful now, and because we’ve been using the really advanced Unity engine, we were able to recreate that feel and bring it really close to what you would see on a console game. AvPGalaxy – Unlike some recent Alien games, the sound of the Pulse Rifle seems spot on in the gameplay videos. Did your studio have access to 20th Century Fox’s vault for sounds and reference material? Bogdan Iliesiu – Yes, FOX has helped us a lot, by providing all the iconic sound effects that you’d recognize from the movies. AvPGalaxy – The Alien franchise has never been void of talented composers working on the scores. The games have been no different either. Who will be scoring the game for you? Bogdan Iliesiu – We’ve worked with a really talented composer, from the ‘SoundReel’ studio. He created some incredible music, which adjusts based on the combat scenarios. AvPGalaxy – Augmented reality has recently become a popular interface for various mobile applications. We recently got the chance to see a fantastic interactive recreation of the iconic chestbuster scene from Alien thanks to this new technology. Is your studio looking at ways to implement this new technology into any upcoming titles? Bogdan Iliesiu – I’d love a t-shirt like that! Maybe we could do something like that as a bonus feature in our upcoming games. Should be fun! 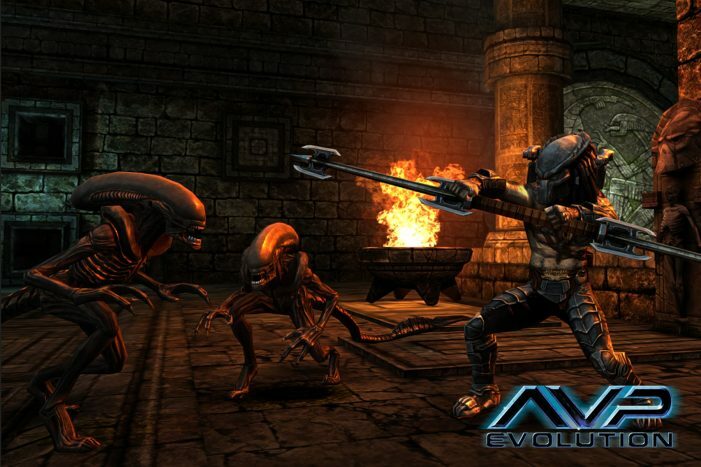 AvPGalaxy – How will Angry Mobs Games be implementing the Alien life-cycle into the gameplay? Bogdan Iliesiu – Throughout the Alien campaign, you go through the whole Alien life-cycle, all the way from the Xeno egg, to playing as a Facehugger impregnating a human, to a Chestburster and then maturing into a full grown Alien Drone. You can later on evolve your body into various Alien types, including the Warrior, Runner, Praetorian and others. AvPGalaxy – Even since the comics, one of the most iconic characters of the Aliens vs. Predator is the Predalien. Can we expect to see this hybrid creature in the game, perhaps as a playable character? Bogdan Iliesiu – The Predalien is certainly a character we love. Sounds like a great addition for an update, don’t you think? AvPGalaxy – Will there be any kind of achievements or rewards through the campaigns? What can we expect in regards to character customization? Bogdan Iliesiu – There will be lots of achievements for performing various tricky combat moves or reaching certain milestones. GameCenter Leaderboards will also be integrated, so you could see who the best Predator and Alien is. For completing missions and performing execution moves, you’ll be awarded Honor Points and Xeno Points. You can use those to upgrade your characters and abilities. As a Predator, you’ll be able to customize your Body Armor, Masks, Plasma Cannons, Wrist Blades, Combi-Sticks, Razor Whips, Mines, Discs, Net Guns and other special abilities. As an Alien, you’ll be able to mix and match various Alien heads, bodies and tails to create custom Xenomorphs. The alien abilities include the power to call in Facehuggers, various acid spit types, special dash moves and a rage mode in which all the Alien instincts are amplified. Each item gives you special bonuses and abilities, and by mixing the right ones you can create a full set and get some really powerful bonuses. For example, for a complete Falconer Predator set, you get the ability to spawn Falcons and attack your victims from the sky. AvPGalaxy – Will the game include any multiplayer elements? Bogdan Iliesiu – The game will launch as single player only. Multiplayer is certainly on our radar for the future. 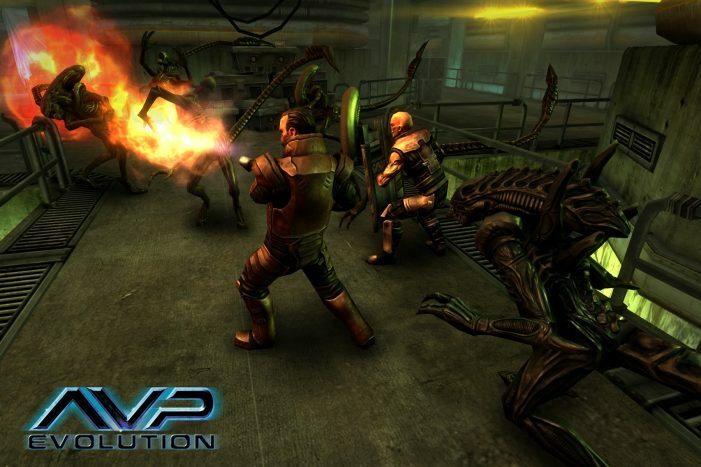 AvPGalaxy – What’s the general level of difficulty for this game? Can players choose between multiple difficulty modes? Bogdan Iliesiu – The difficulty level progresses throughout the campaign. The enemies also get stronger, similar to what you’d see in a role-playing game. To defeat them, you must be properly equipped and find each one’s weak spot. Players can either go the hard way and try to complete all the campaign missions one by one, or they could play the side missions to get better equipment, which would make some battles easier. AvPGalaxy – What is the estimated completion time of the game? Bogdan Iliesiu – The campaign missions last for about 5 hours and the side missions last for another 2 hours. You also get a different experience if you replay them, so the play time goes way beyond that. AvPGalaxy – Are there any current plans to add more content to the game through future updates? Bogdan Iliesiu – Most definitely! We have some great new content coming up pretty soon. There will be new missions plus new player types and combat abilities. We’d also love to hear any fan suggestions when the game comes out. AvPGalaxy – AvP: Evolution only seems to support the most recent regeneration of iOS devices. Are you considering making the game be compatible with the older generation iPod Touches at some point in the future? Bogdan Iliesiu – The iPod Touch 4th gen will not be supported in the initial release version. That’s only because of memory limitations, as that device only has 256 RAM memory, and the game takes more in some missions. There is just so much content in the game that the memory limitations of older devices make it really hard to optimize those assets. AvPGalaxy – The game was originally slated for a November 2012 release. How did the delay affect the game? Also, when can we expect it? Bogdan Iliesiu – You can expect it really soon on both iOS and Android. We really wanted to make the game perfect, and that meant spending more time to polish it. So delaying it was definitely a good decision and I’m sure you’ll love how it turned out. AvPGalaxy – Prometheus has been proved to be a rather successful addition to the Alien series. Is Angry Mob Games looking at ways to bring this film to mobile platforms in videogame form? Bogdan Iliesiu – Prometheus could definitely make a great survival horror game. There were so many elements to build up a great world, based on evolution. So who knows? Maybe we will someday. AvPGalaxy – Thank you for your time. We look forward to learning more about AvP: Evolution soon.